Many small business owners in Orange County, California ask us how to protect their business interests. When they do, we always advise them to focus on certain areas, and these include, establishing good business practices, purchasing the right insurance,setting up the appropriate business structure, and properly maintaining their corporate records. Starting a small business in Orange County, California can be overwhelming, especially for a budding entrepreneur. The tasks to complete, and legal requirements to comply with, can seem endless. To be more efficient, it is important to prioritize the various responsibilities that you must give attention to, allowing yourself freedom to ignore those that are less important. To protect a company, there are key business practices and legal structures that should make it onto that priority list. These key areas should not be taken for granted, otherwise the business might be in danger of potential lawsuits and government penalties. Having a small business attorney from Corporate Records Program assist you in these areas is a great way to ensure that you are able to meet your responsibilities in these key areas. For a business to be successful, an owner should use the right processes and procedures to consistently meet their customers’ satisfaction, and thus protect the interests of their company. It’s surprising though that there are many small business owners in Orange County, California who fail to do this. When creating contracts that their small businesses use daily, many owners opt not to hire an attorney to help them. Instead, they use forms that they copy from competing companies. There are also a number of corporations that use forms they download online. This approach of creating contracts and other legal documents often results in many legal problems. We had a real case where a client encountered many problems after using a contract that was downloaded online. The client did not know that the contract was only suitable for use in the state of Maine. However, the parties involved in the agreement were doing business in California. The contract was executed in the wrong state, and the terms in the agreement were laid out for the wrong state law. Obvious problems arose, a lawsuit was filed, and the client was caught in a lot of trouble. The court determined that the person who drafted the contract was the only individual liable for it. When a business owner uses an illegitimate contract, he or she will most likely end up with more problems than expected. 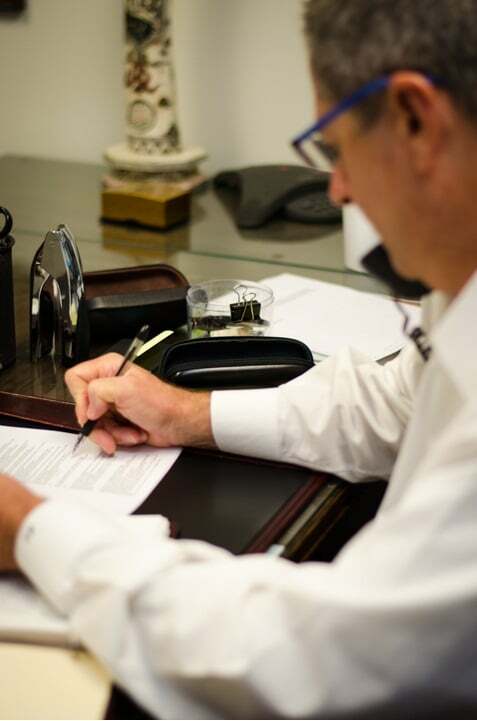 A prudent entrepreneur will hire a competent business lawyer in Orange County, California to help draft and review contracts and other legal documents for his or her company. Small business owners have to choose the right type and amount of insurance for their company. This is essential because although setting up the right corporate structure is important, it can never replace proper insurance. Small businesses vary in risks that they face, and thus need different insurances depending on these risks. To pick the right type of insurance for your small business, you need to form a relationship with a skilled commercial business insurance broker. To find a competent business insurance broker, you need the help of a small business attorney. 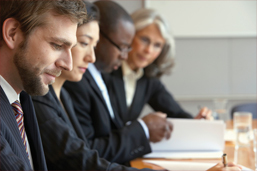 At Corporate Records Program, we can help refer you to a skilled broker. We meet various kinds of small businesses all the time, and this means we have built a lot of connections with people in different careers, including insurance brokers. Our lawyers can help you find an insurance broker who can assist you in selecting and purchasing the appropriate type and amount of insurance for your company. There are still many small businesses in California that commit the mistake of choosing the wrong type of business structure for their company. The common reason is because most small business owners think that they can save a few dollars if they don’t hire a lawyer to help them with the process, and so they settle on trusting business entity information from the Internet that may not be relevant. This is a very unwise decision. The business entity an entrepreneur chooses should be fitting for his or her particular enterprise. A common question that many small business owners ask is whether they should choose to form an LLC or a Corporation. The answer depends on the situation. There are various considerations in every situation. A good small business owner spends time to seek the counsel of a competent corporate attorney in Orange County. A business lawyer can help you choose the right business structure by reviewing with you the nature of your business. A competent attorney can help you evaluate who are involved in your company, check the risks of the business, reassess your growth plans for the company, and enumerate the advantages and disadvantages for the use of a limited liability company or a corporation. At Corporate Records Program, when our clients have decided what business entity to form, we assist them through the process of preparing the necessary documents that are required by the law. To protect the interests of a small business in Orange County, California, proper upkeep of corporate records has to be practiced. Maintaining records can be a very complex and stressful task. 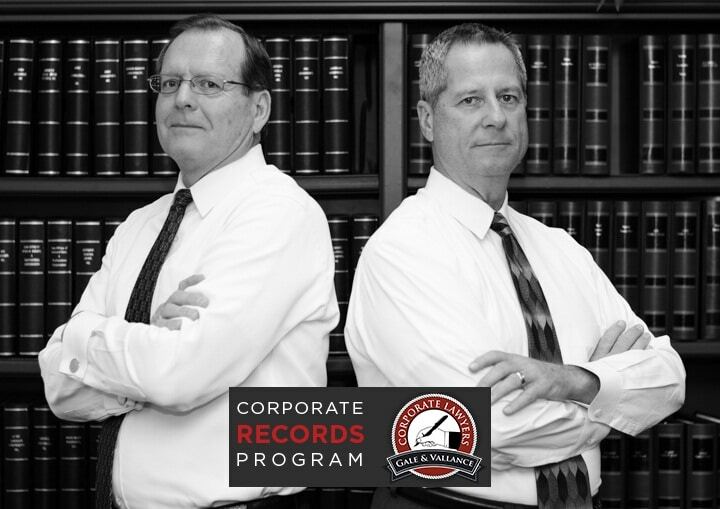 At Corporate Records Program, we offer our clients a more convenient method of keeping records for a small and reasonable fee. Protect the interests of your small business in Orange County.Your California company should employ good business practices, pick the appropriate type and amount of insurance, form the proper type of business structure, and keep corporate records diligently. To help you through all these, you need the assistance of a competent small business lawyer in Orange County, California. Having a small business lawyer contracted is a necessary investment in order to avoid larger problems that can cost you more in the future. If you need counsel on how to best protect the interests of your small business, contact us at Corporate Records Program. 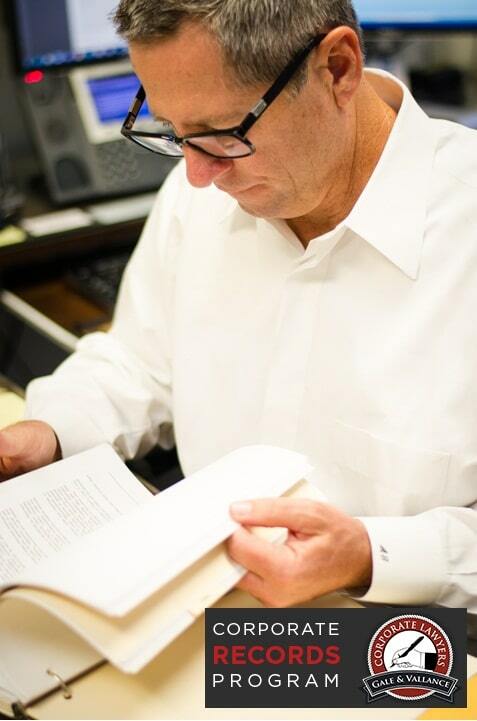 Our attorneys are experts in their field. We can help you choose and form the right business structure that is appropriate for your enterprise. We can help you find the right insurance broker. You can also avail us of our Corporate Records Program so that your records are efficiently preserved. Call us now at 714-634-4838!